My greeting was not intended to tie into Sabbath’s worship service title, “The Day the Saints Rolled into Town,” but is ironic just the same. Sunnyside will see three people baptized on Sabbath and we will be joined by the Sunnyside String Quartet. There is much more to note on your calendars. First, Don Hall’s Health Expo lecture series continues this weekend, Friday, Saturday, and Sunday evenings at 6:30 pm. And please note that our first CBFM weekend is coming in two weeks—the details are in this newsletter. Also, our Design Committee is making great progress on the first steps of ReNew Phase II. Originally, Phase II was a $450,000 project, and technically it still is. But it is being broken down into five smaller steps starting with the Fireside Room/dining area. 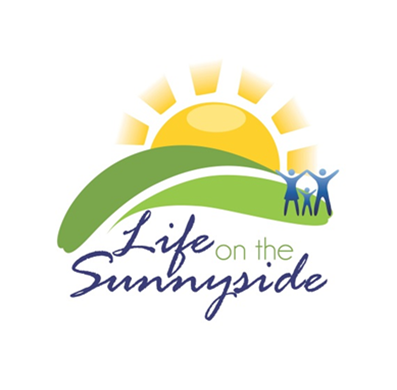 Wednesday night the church board approved a motion calling for a Sunnyside Church business meeting on Sunday night, November 24, at 6:30. This is also timely in that as this insert is being written, the concrete footings and floor to the new chair and table storage addition is being finished. A special thanks to the team working on this. Nonetheless, now that we will be able to soon unclutter the dining area, we will be able to start on the refurnishing of the area. Please, plan to attend and see the color selection and plans. Remember, “He made you alive together with Him, having forgiven us all our transgressions, having canceled out the certificate of debt consisting of decrees against us, which was hostile to us; and He has taken it out of the way, having nailed it to the cross.” Colossians 2:13-14. Sabbath worship services are at 8:45 and 11:15 am. Pastor Scott LeMert will be presenting our Bible message entitled The Day the Saints Rolled Into Town. Learn seven key principles for building heart health for a lifetime. The American Cancer Society says “Most cancers are preventable.” Learn what you can do to reduce your risk of cancer. Learn the key steps you can take to help prevent Alzheimer’s disease and maintain a healthy brain for life. 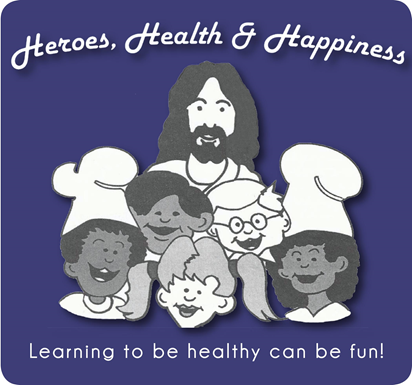 Heroes, Health & Happiness is a unique adventure into heroes in the Bible, good health and a hands-on experience in the kitchen. Children build their own cookbook meeting-by-meeting. Meet Dr. Feelgood every time we meet. Same dates and times as listed above. Remember saving labels for investment? We still do that! Bring your labels that include the UPC symbols to the Sabbath School Secretaries office. We receive .05 for each label. The labels from the following products are the ones we can use: Worthington, Loma Linda, Morningstar, Natural Touch, and Cedar Lake. Deaconesses, Junior Deaconesses, and their special moms are invited to a Deaconess Fall Brunch Sunday, October 27, 10:00 am in the fellowship hall. Congratulations to Ardina Wang! Ardina will be honored with the Hero of the Heart Award at this year’s Adventist Medical Center Foundation Gala. She is being recognized for her years of dedication and service feeding the homeless every Sunday morning. The AMC Foundation Gala will be on Tuesday, October 29, 6 pm, at The Nines Hotel Ballroom. To purchase tickets, contact the AMC Foundation office at 503-251-6197. Family Resource Network – Thank you for your support. We have been able to help numerous individuals and families this year because of your gifts. Please continue to remember those in need, and when contributing, mark your contribution to account #9387, Family Resource Network. Brooke Benfield will be presenting an organ concert at Gethsemane Lutheran Church, 11560 SE Market St., Sunday, October 20 at 2:00 pm. This concert will be a dedication of the new organ at the Lutheran church. Alex Buchanan, Michael Hamilton, Ted Morford, Nancy Ruhl, and all who have financial, spiritual, and health needs. Scott Geigle, son of Ray and Eda Geigle, who passed away October 5. A memorial service will be conducted at Mt. Tabor Church this afternoon at 4:00 pm. Wednesday, October 23, 2013, 7:00 pm organist Hans U. Hielscher appears in recital. Prof. Hielscher is the Organist-Carillonneur at Germany’s Wiesbaden Marktkirche and Municipal Organist at the Wiesbaden Kurhaus Concert Hall, and is a world-renowned recitalist and author. He has also been a guest professor and lecturer/recitalist at Redlands University in California. Mark your calendar and take time to come and enjoy this outstanding performance. Sunday, October 27, 4:00 pm: The Sunnyside Symphony Orchestra directed by Travis Hatton will present a free concert here at Sunnyside. Sunnyside’s Week of Prayer is scheduled for October 26 to November 2, 6:30 pm in the Youth room. This year’s readings, “And They Followed Him,” focus on “Revival and the Christian Life,” and how we can have a vibrant, happy, and rewarding relationship with God. You won’t want to miss a day of these special readings that go beyond outward appearances and aim straight for the heart. Read about all the digging on Portland Adventist Academy’s campus and see a live demonstration of PAA’s new 3D printer in this month’s e-Headlines! October 19, 3 pm: Laurelhurst Village Chapel, 3600 SE Stark. His Praise Men’s Chorus will be presenting a gospel concert. www.HisPraiseMensChorus.org. October 19: Lents Church begins presenting “Jesus Matters!” seminar. All are welcome to attend to hear what Jesus and the Holy Scriptures teach about relevant topics that affect our lives today and in the future. For more information call 503-774-7290. October 26, 27: Sharon Church Homecoming Celebration. Featured speaker: Dr. Terry Johnsson. Please visit www.Sharonsda.net to pre-register you and your family for this weekend’s activities. October 27, 5:00 pm: Healing Hope Church presents a harvest festival offering a free and safe place for young and old to get together for fun and games. Carnival type games, giant slide, dunk tank, candy, food, and a silent auction. For more information contact Laurel Finck, 971-227-0572.